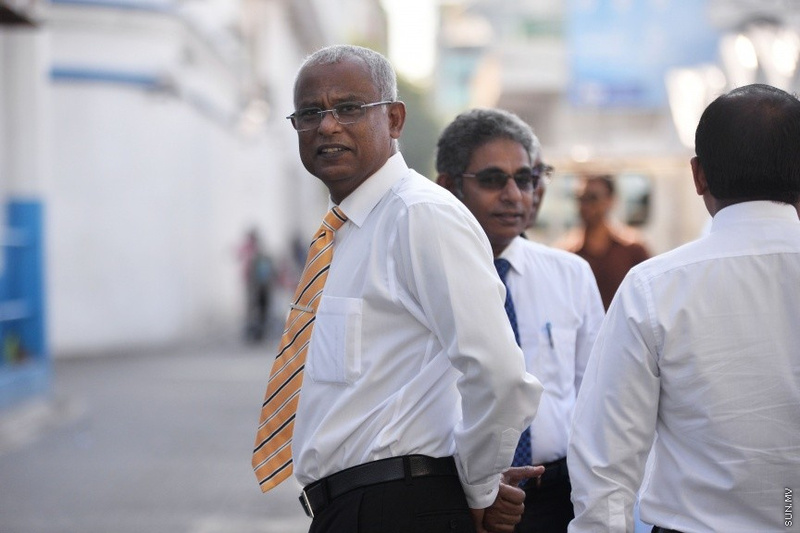 The government has congratulated the newly appointed opposition candidate for the Presidential Election, the MP for Hinnavaru constituency, Ibrahim Mohamed Solih (Ibu) and invited the opposition coalition for discussions. Chairman of the All-Party Talks, the Fisheries Minister, Dr. Mohamed Shainee issued a statement, in English, saying that the government welcomes the decision by MDP and their Extraordinary Congress to field their candidate for the Presidential Election. "Hoping that this positive development from MDP creates an opportunity for dialogue in order to reconcile the political differences and noting the importance of mutual collaboration for free, fair, transparent and successful elections, I wish to renew the invitation of the Government for All-Party Talks once again, specifically with a view to facilitate the solution of any issues of concern and pave the way forward for the elections." Dr. Shainee's statement said. It further called upon MDP to lift it's boycott of the National Advisory Committee (formed under Section 3 of the Presidential Election Regulation for the Presidential Election) and to coordinate with the Elections Commission to ensure a smooth electoral process. In his statement, Dr. Shainee said that government hopes that all parties will be able to sit together and reconcile the differences in the national interest.